I read Emily's Quest as a part of Danielle's A Series a Month Challenge. The other books read for this challenge this month are Emily of New Moon & Emily Climbs. This book is, in a word, depressing. It's far darker and more depressing than both Emily of New Moon and Emily Climbs combined. 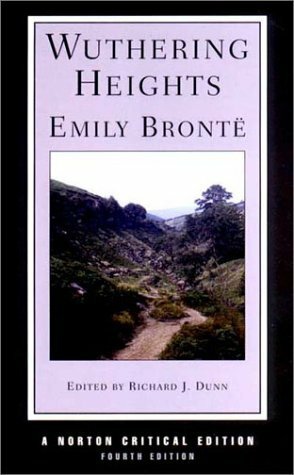 I adored Emily Climbs, and reading Emily's Quest straight after finishing the former was kind of a let down. I've heard that Montgomery was forced by her publisher to include the fairy tale ending that felt super weird and tacked on after the depress-fest that was Emily's Quest. Actually, it would explain the whole weird romantic subplot that was happening. Okay, so: first off, my prediction that Dean Priest IS THE ACTUAL WORST came true. I don't think I've hated a character this much since Snape. His love for Emily is like Mrs Kent's love for Teddy: unhealthy and just plain weird. He doesn't like Emily writing because it takes her to a place where she can't go, and she shows more interest in her writing than she does in him. So after asking him for his honest opinion on her manuscript, because SHE TRUSTS HIS OPINION THE MOST, he tells her that it's no good and nobody will ever publish it AND SO SHE STOPS WRITING. And Dean obviously doesn't care for Emily OR really love her, because if he DID, he wouldn't get so insanely jealous when anyone else shows the slightest bit of interest in her, and he wouldn't stop her from doing - or go out of his way to convince her that she was no good at - something she loved. So, Dean is selfish and horrible and awful and did I mention that when Emily's nineteen he's forty-two and this is just a horrible UGH factor? After Emily cuts her foot on Aunt Laura's scissors and gets blood poisoning and spends the entire winter in bed with Dean her only visitor, she agrees to marry Dean even though she doesn't love him. Emily realises that she belongs to Teddy heart, body and soul and she calls off their engagement, thank the Lord. Dean isn't the only person who proposes to Emily, though. She had so many beaux. I lost count of how many men proposed to her. Please note: Cousin Andrew is now a widower. Next point: I spent most of this book in agony. The cause? Teddy and Emily. Through a series of miscommunications and Emily's 'Murray pride.' Teddy sends Emily a letter declaring his love, but Mrs. Kent is terrified that Emily will take Teddy away from her and replaces it with a copy of a poem Perry wrote. Teddy seemed to decide, "Hey, I'll hurt Emily they way Emily hurt me," and proposes to Ilse. IT KILLED ME. KILLED ME. I never thought I would have a Gilbert-and-Anne reaction to Teddy and Emily, but I did. I think I was so surprised by my action to Teddy and Emily's relationship because we haven't spent that much time with him. He was pretty much a permanent figure in Emily of New Moon, but really was only mentioned in passing in Emily Climbs. He wasn't swoon-worthy like Gilbert. But this book made constant references to Teddy painting a bit of Emily into each of his pictures and the little things he did for her. It was like Montgomery was going out of her way to make the reader fall for Teddy, and then it hurt all that much more when he just cut off contact with Emily, treating her as an acquaintance. This book made my heart hurt, and yet I still only gave it three stars. I think it's because it felt too rushed - even though it covers about ten years of Emily's life, it's the shortest of the series. The ending is wrapped up in two or three pages, which I found strange - you would think there would be a lot of loose ends to tie up. The characters felt a little off - Ilse, who had been a favourite of mine, was barely recognisable. And this book was full of really, really depressing matter, and seeing as I think Emily is based - at least a little - on Montgomery... it made for an occasionally uncomfortable reading experience. Overall, a weak finish to the trilogy, but I will probably go back for a reread.